Many people are working on research facebook templates design! And in the first five (we identified the first most famous five from the Internet), except templatemonsters there is also flashmint, who started to create facebook templates much earlier than its main competitors are known to us. And it’s strange in this story that on its website, Flashmint, they post not only their work but also from the above mentioned site. It is very strange, maybe they do not competitors at all each other? Will think about it in the future! Facebook – one of the largest (possibly is the biggest) social networks in the world, which gives to users possibility to create personal Web pages, using different technologies, such as flash, jquery, php, and other, which makes it possible to do non-recurring, unique, interesting templates with logos, styles, buttons, etc. In the article below you can see 10 specially selected for you templates, which are in my opinion the most beautiful and functional. It is possible that some readers have learned about the possibility to upload their own templates facebook from this article. But I don`t think so! Meanwhile, this feature is not new, and aplenty information in the Internet about it! 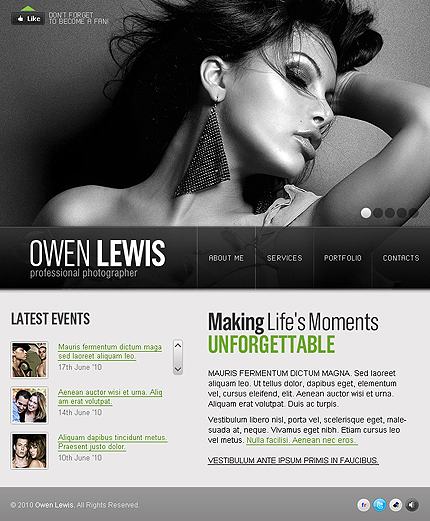 There is a list of ten Facebook Templates produced by Flashmint that we chose listed below! And for each themes, we will put its short description. So, let us start! 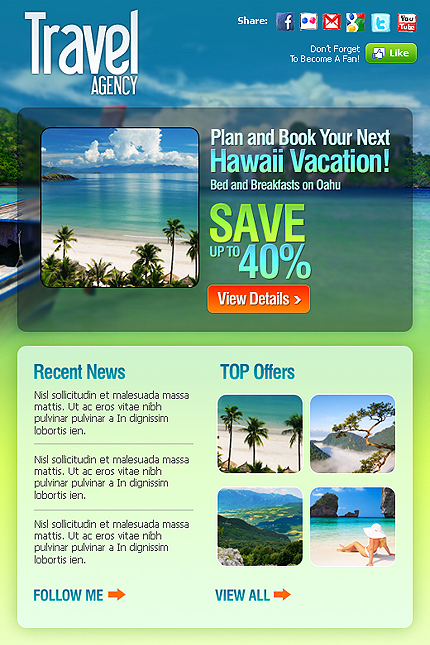 About: If you are looking to gain more from your social network activity, this offer is right for you. 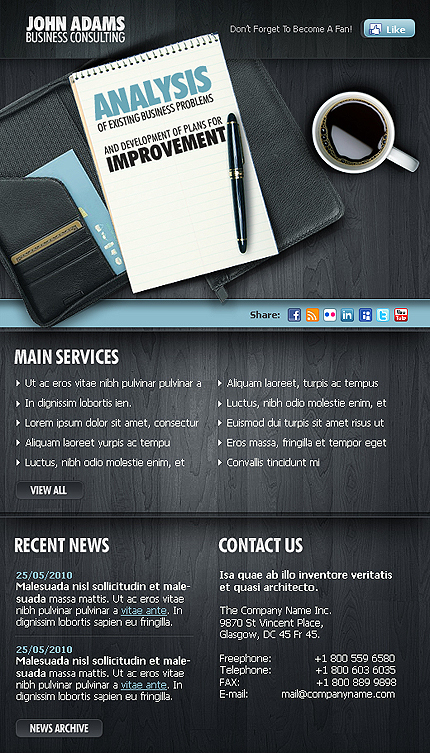 Get creative with your Facebook fan page by getting this awesome flash Facebook page template. Multi-tabbed navigation, large-scale image gallery and exquisite transitions make up a full-fledged mini-website within your Facebook business page. FB page customization has become a growing trend lately, but usually it may take you hours to learn how to set up the page and make it look special. About: Facebook is a great place to introduce your business, but certainly, this is not what it’s limited to. Now you can promote and sell your goods and services right on Facebook fan page with powerful Facebook templates by FlashMint. 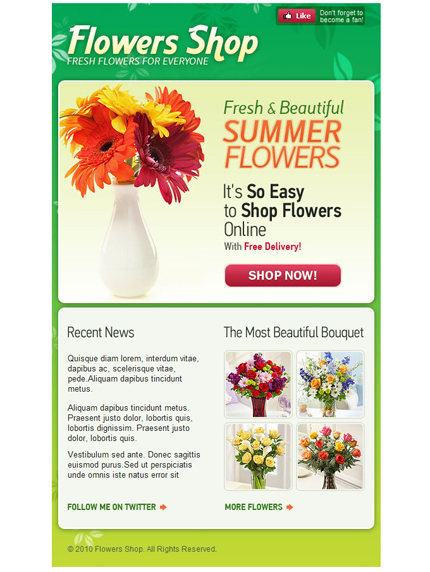 Including a prominent product gallery, “shop now” links and “Like Us” reminder, this Facebook template is a gold mine for your social media campaign. About: The popularity of Facebook increases every hour. It’s really no surprise that Facebook is generally considered more useful for the small business than other social networks. Now you have a great opportunity to sell your goods and services right on Facebook fan page with powerful Facebook templates by FlashMint. This Facebook layout is an excellent solution for your social media campaign. About: Facebook continues to grow in popularity! Not only is it a popular online network for people to connect with each other, but it’s also a powerful promotion tool that is getting more popular in business environment. You have an excellent chance to advertise your business via Facebook. 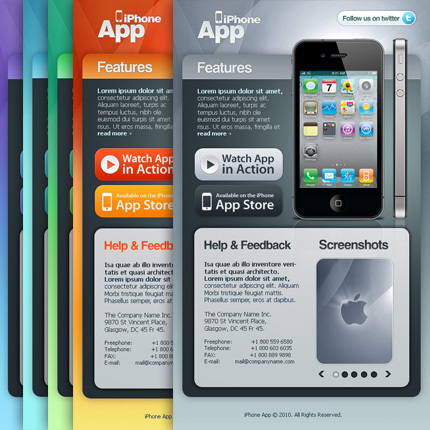 About: The iphone applications Facebook template is available in 5 colorschemes (blue, green, grey, lila and orange) and you can choose any that you like for your Facebook page and update in the future if your preferences change. About: If you represent a charity organization and want to attract the attention of more people to it via stunning web presence there is a way of creating a Facebook page with the help of specially premade website template developed by FlashMint. 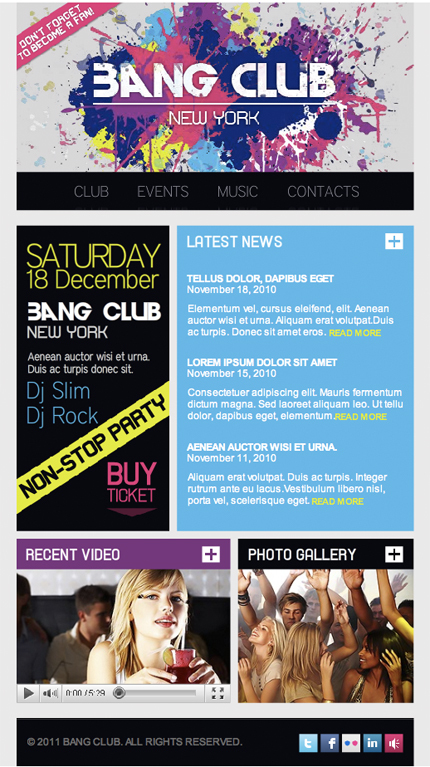 About: Facebook template for night club page! About: Now it’s your turn to wow the Facebook users as we offer you a super stylish Facebook page template with the help of which you will create a cool online Facebook gallery.It is an excellent way to showcase your own photo and video collections within the powerful social network and share them with friends all over the world.But the greatest thing about it is the opportunity to create your own YouTube Video Gallery. About: Facebook has proved to be an effective marketing and promotion tool. Being a professional photographer it’s a blunder not to be active on social networks, especially on Facebook. 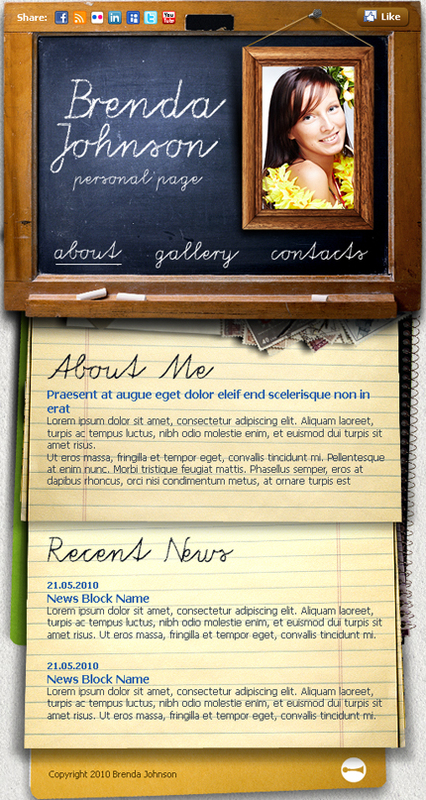 With an informative Facebook profile you gain a point, with a classy Facebook template you win the game. 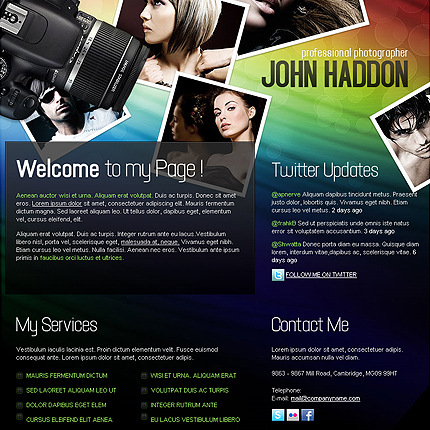 Choose the best layout from our new collection of professional Facebook templates and stand out from the crowd! About: Such monsters as Victoria’s Secret and Adidas have been making use of their Facebook fan pages for quite a long time now. Why don’t you follow the example of industry movers and shakers? With multi-functional Facebook templates by FlashMint you can take advantage of your Facebook profile to the fullest and promote your apparel brand to everyone there. Enjoy! And do not forget to visit our page on facebook!